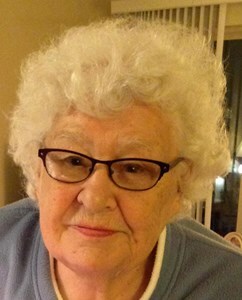 Ruth Elaine Wagnitz Sprague (Derbique) of Green Bay, WI died peacefully at Unity Hospice on Sunday, July 29, 2018. Ruthie, as she was known to those who loved her, laughed easily and loved unconditionally. She was fun, funny, kind, and tough. The matriarch of her family she was a rock of love and support for everyone. Resourceful and resilient, she did everything in her power to give her children a good life regardless of her circumstances. There is nothing like a mother’s love, and Ruth was an incredible influence in the lives of her five successful surviving children, Lari Wagnitz (Sherri), Lynn Rozycki (Timothy-passed), Colleen Hansen (Ralph), Steve Wagnitz (Bonnie), Kurt Wagnitz (Suzy), eleven surviving grandchildren and thirteen surviving great-grandchildren. Like many of us, Ruth had her share of testing times. Preceded in death first by her twin sister Mary Lou at eight years old, then by her husband Keith Wagnitz, by her loving parents Louis and Ruth, her second husband Harold Sprague and grandson Chad Wagnitz, she made the difficult decision each time to pick herself up and continue moving forward. Ruth cared deeply for her family, and just as deeply for her friends, many of whom she kept from elementary school through life and until death, and met everyone with kindness, understanding, and a helpful hand. Ready for anything and always in her red lipstick, Ruth was the first to roll up her sleeves, dig in, and get the job done. Just as she nourished her own children at home, she nourished the children of St. Agnes school, at work as a cook where she made everything from scratch. After raising five children, surviving her first husband Keith, finding love and friendship in her second husband Harry and over twenty years working at St. Agnes, Ruth retired. In retirement, she was finally able to enjoy her children and grandchildren in a way she was never afforded when she was young. Summers up north, countless games of cards and mountains of Christmas cookies barely scratch the surface of happy memories with her friends and family. Never turning down the chance for an adventure, retirement also held the new challenge and opportunity of world travel. Going to far off places such as Europe, Australia, and Thailand, Ruthie was able to enjoy and express her genuine affection for and curiosity of other places, people, and cultures. Ruth was a rare and exceptional woman without expectation who told It like it is, accepted people for who they are, lived in the moment, appreciated all that she had, and was devout in her faith. We extend our gratitude to the staff of Unity Hospice for her excellent care and to her friend Joyce who was a tremendous help. Ruth is also survived by her two brothers Wayne Derbique (Geniveve) and John Derbique (Verjean) and will be profoundly missed by all who knew her. We carry her in our hearts and in our actions, are grateful for the time we had with her and are very proud that she forever remains part of who we are. Visitation will be held from 9:30 am until 11:00 am on Thursday, August 2, 2018, at Ss. Peter & Paul Catholic Church, 710 N. Baird Street, Green Bay. A Mass of Christian Burial will be celebrated at 11:00 am on Thursday. Burial will be at Allouez Catholic Cemetery. Please enter rememberruthie@gmail.com as the recipient’s email so we may thank you for your gift. Add your memories to the guest book of Ruth Sprague. From the Lemont Artists Guild, thinking of Ruth's family and friends as they mourn her loss. God bless her spirit and the wonderful beauty she brought to this world. Thinking of Ruth. God Bless her spirit and may he console her loved ones as they mourn her loss. My wife and I first met Ruth when daughter Suzy and Ruth's son Kurt were "courting" It was at Kurt's cottage at the lake. It was a summer day, and the Wagnitz's were enjoying a family gathering. Ruth was in a bathing suit and with some of the youngsters going out for a swim! Very impressive for a mature lady. Her spirit for life was wonderful to see, and we benefited from meeting and getting to know her. God was good to Ruth in that He called her to come without much suffering. That was a blessing both for her and her family.